This competition has been running for 7 years as a part of the annual Huntly Hairst Food Festival. Entries are accepted on the day. No prior entry form or fee is required. Bring your Stovies to the Stewarts Hall from 10.30am onwards. We are looking forward to sampling your recipe for Traditional Scottish Stovies. 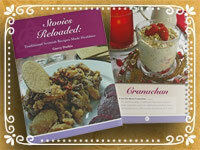 A recipe book produced by the Rowett Institute for Nutrition and Health. For more information about the book and to download a copy go to Rowett Institute website. Our thanks to the Institute for permission to use their stovies image on our website. 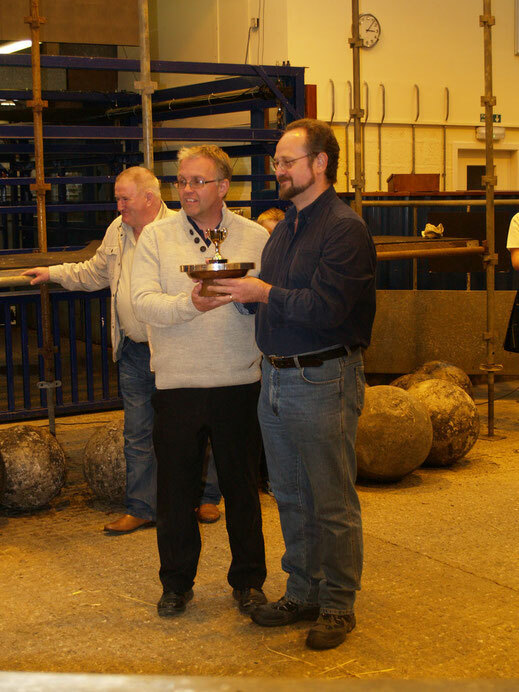 "I was crowned World Stovies Champion in 2014 at a competition in Huntly. Not to sound bigheaded but I've won a couple of things over the years from the writing, but the only trophy on my desk is the Stovies Champion one. It's the tiniest plastic cup but has started more fights than I've ever had in my life. Everyone thinks their granny makes the best stovies - but do they have a trophy to prove it?" He kindly makes the winning stovies recipe available on his website. Without tatties ( potatoes) there are no stovies. Tatties are a staple in Scottish cooking. Some of the tastiest varieties grow in Scotland. In fact, they are so delicious, they deserve their own tune! 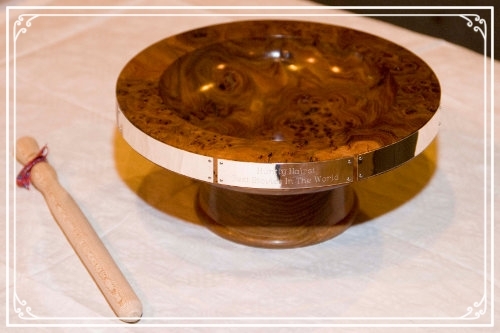 The Kilted Chef Craig Wilson helped in 2013 to find the World Stovies Champion. In Autumn 2017 German TV Chef Dirk Hoffmann came with his film team to Huntly to find out how to make stovies. No one can say when stovies entered the list of iconic Scottish dishes although it seems a fair deduction that it was when eating roasted meat became possible for a sizeable portion of the population and the means to cook it was more widely available. This suggests the 1800s, but who can say? Some heretics suggest that the word ‘Stovies’ derives from the French word for steaming –etouffee – and some say it refers to the means of producing this delicious dish – the stove. More likely it is based on the auld Scots phrase "to stove" meaning to stew meat etc with just a little liquid. So what are stovies? Ask a hundred Scots and you may well get a hundred different recipes, but what all will agree is that it is a dish whose principle components are potatoes and meat . What each of those hundred Scots will not dispute is what real stovies are – the answer being "the ones my mother made'"
Stovies are a left-overs meal, often served on Monday using the remains of the Sunday roast , potatoes and vegetables gently simmered together in a single pot . Some say that this meal is even better than Sunday’s lunch. Often, with large families to feed, tight budgets and manual workers to keep fuelled up, it made sense for households to waste nothing and so stovies became a popular dish throughout Scotland and wherever Scots went. Traditionalists like to enjoy their stovies with oatcakes, pickled beetroot and hot sweet tea (or, as former Stovies Champion Stuart MacBride suggests..."Stovies goes very well with a nice dram of whisky too"), canny pub owners put thirst-inducing salt in their stovies, teetotallers insist that cold burn water is the only way to wash your stovies down – you can please yourself. 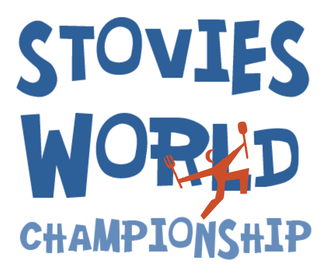 Huntly Hairst has been hosting the World Stovies Championship for 6 years as part of its celebration of North East Scotlands food and drink and culture. Contestants have come from far and wide to present their version of stovies in competition for the Championship title .For a while we ran two categories of contest, one for traditional stovies and one for the more innovative chefs – the ‘exotic’ stovies competition. However this year we are returning to our roots and will be running the Championship only in the Traditional category. This still allows scope for individual recipes to cater for different ideas about the ideal stovies – should they include only meat and potatoes? Which vegetables are right for stovies? Should the burnt bits from the bottom of the pan be regarded as a plus or a minus? Which meat makes the best stovies? Come to Huntly on the first weekend in September to take part or to witness the World Championship !